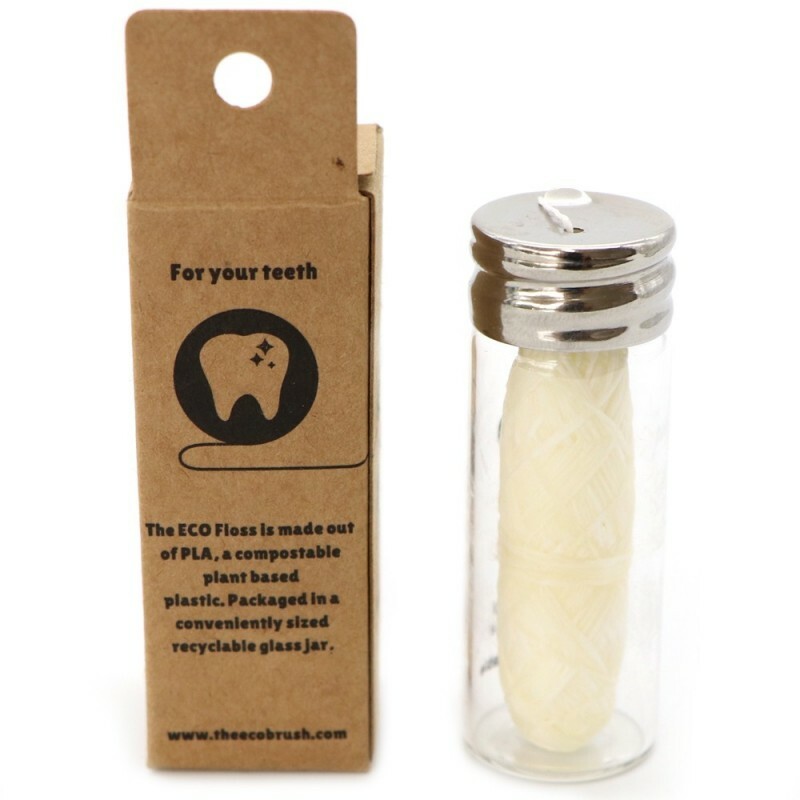 Look after your teeth with this plant-based dental floss. 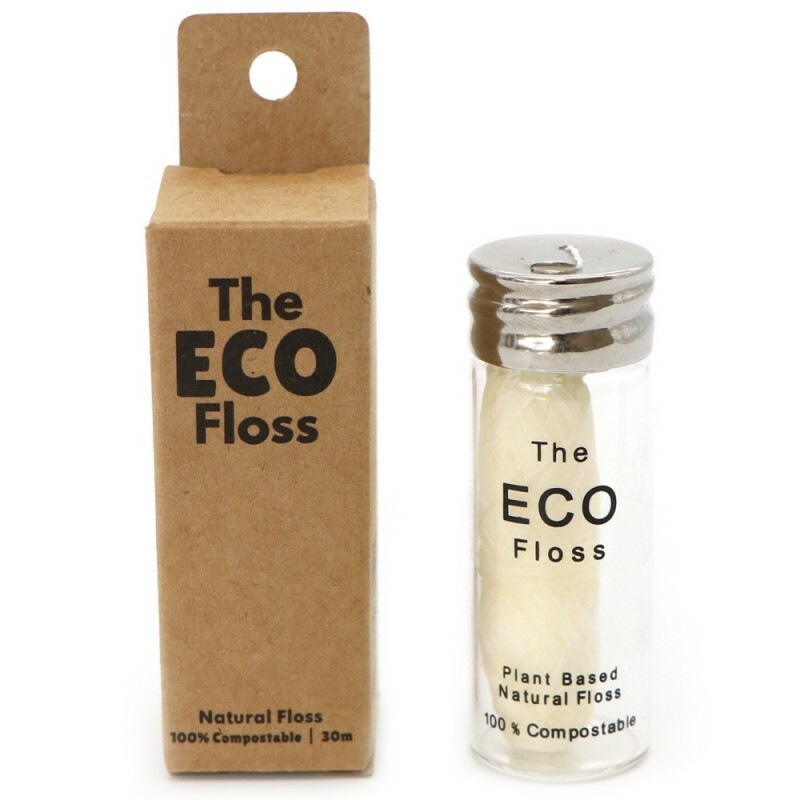 Vegan friendly and plant based, this floss is made from PLA, a bioplastic made from cornstarch and is coated in candelilla wax for a smooth glide. 30m of mint flavoured floss. While made from a renewable bio-plastic, it is not certified as home compostable - please read below about the compostability in order to make an informed choice. The supplier states that this floss is 'compostable' but please note that PLA plastic is only proven to compost in industrial composting facilities, which are not accessible to most householders in Australia. In Australia, any product making a claim such as compostable or biodegradable on the packaging must ensure that the claim can be substantiated. At this time, we have not received what we believe is sufficient substantiation to verify the claim of the compostability. However, the supplier has given an undertaking that Eco Floss is home compostable based on their testing. As Eco Floss has not been certified as home compostable it may not meet the requirements of those wanting an assured zero waste product. In order to compost, PLA products require high heat, sufficient moisture and time to completely break down into carbon dioxide, water and a small amount of humus, a soil nutrient. Without those conditions, PLA may not break down, such as in landfill. 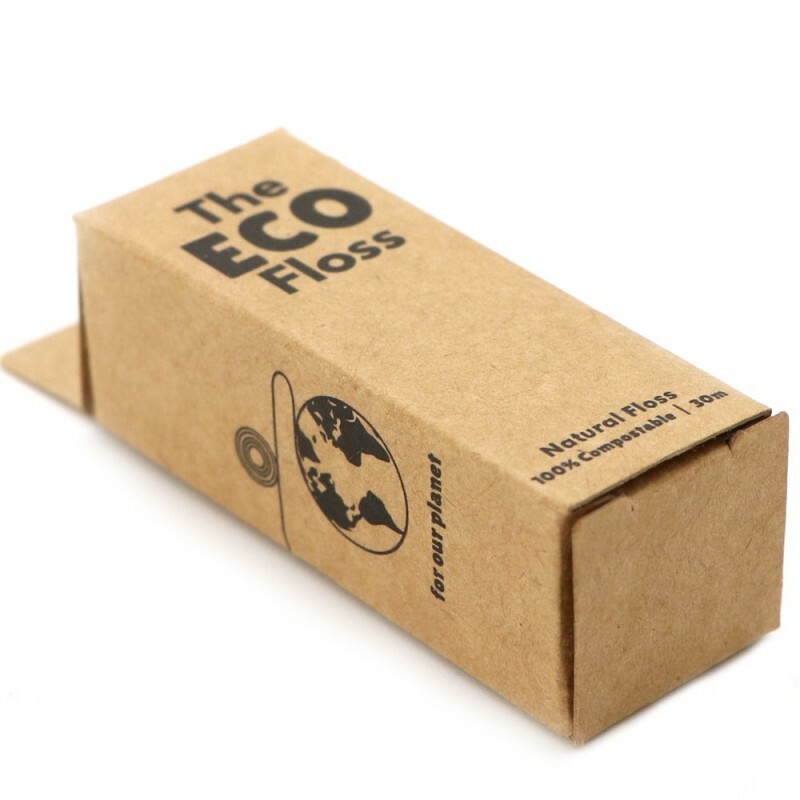 Eco Floss is a thin string so it may require less time than a coffee cup or piece of cutlery made from PLA, but it will still need certain conditions which may or may not be achieved in home compost. According to the manufacturer of the PLA string, it may be the case that it will break apart into smaller pieces but may not compost. PLA is polylactic acid which is made from corn starch. According to the manufacturer of the PLA a mix of non GM and GM corn grown in the USA is used. Biodegradable means the material will completely break down into the natural elements of carbon dioxide (methane), biomass and water vapour within a year or less after disposal. Materials such as petrochemical plastic take hundreds of years to biodegrade. Composting is an accelerated version of biodegradation producing a rich humus that adds nutrients to the soil. Polylactic acid is a repeating chain of lactic acid. In the composting process, moisture and heat in the compost pile split the polymer chains apart, creating smaller polymers, and finally, lactic acid. Microorganisms in the compost or soil consume the smaller polymer fragments and lactic acid as nutrients. Since lactic acid is widely found in nature, a large number of organisms metabolise lactic acid. The end result of composting is carbon dioxide, water and humus, a soil nutrient. But the effectiveness of this process is dependent on the required temperature and moisture. 5.5 H x 2cm D. Glass tube with stainless steel lid, PLA, candelilla wax. 30m length coated floss thread. Glass container can be reused. Packaged in a recyclable cardboard box. Browse our other dental hygiene products. Plant based makes me feel good! Encourages me to use it more ???? It's so nice to know that while this is a single-use product, once i have discarded it, it will naturally biodegrade. Now that refills are available, it will be my go-to floss.